Olivia Gardner was a sixth grader in Northern California when her life began to unravel. It started when she suffered an epileptic seizure in front of her classmates. Immediately, the name-calling began. The hallway insults and ridicule — “freak,” “retard,” “weirdo” — escalated into cyber-bullying when a few particularly nasty students set up an “Olivia Haters” website. One student dragged her backpack through the mud, and another whispered “Die Olivia” in her ear. The taunting was so bold that her tormentors distributed and wore “I Hate Olivia” bracelets. Neither her parents nor school officials were able to shield Olivia from this sadistic abuse and changing schools didn’t help. The bullying followed her through two other schools until her parents decided home school was the only option. Like many teenagers subjected to extreme bullying, Olivia seriously contemplated suicide. Olivia was not a weak girl and she had the love and support of her family, but relentless cruelty inflicted by mean-spirited teenagers and condoned by a much larger group, simply wore her down, leaviing her feeling helpless and hopeless. Fortunately, this is only part one of Olivia’s story. 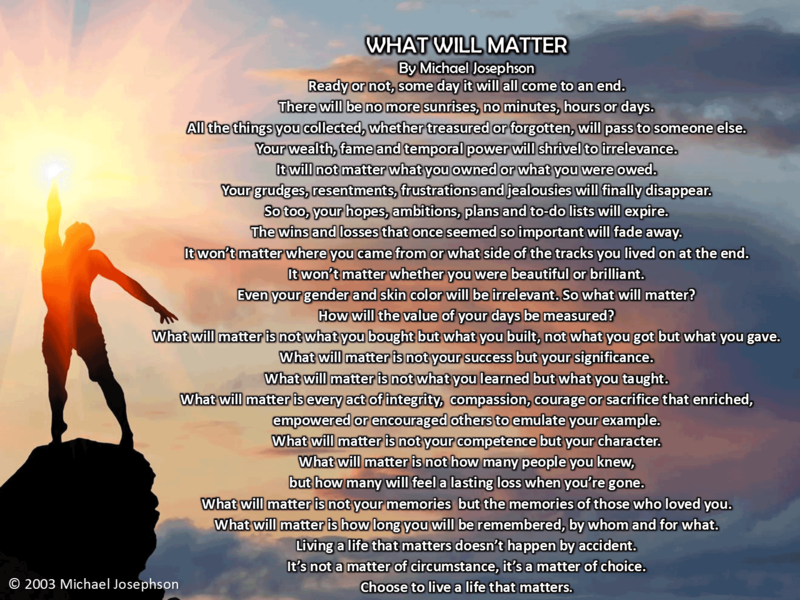 Part two is much more uplifting. A small local newspaper wrote a story about Olivia’s ordeal, which caught the attention of two sisters — Emily and Sarah Buder, then 15 and 17 years old. The sisters had never met Olivia, but their sense of compassion and justice ignited a desire to offer her personal support. Their initial ambitions were no broader than that when they decided to write Olivia personal letters to lift her spirits. 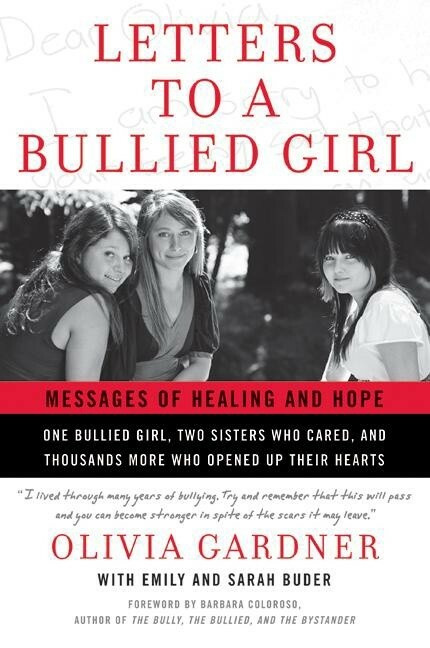 They also asked their friends to write letters as well, never imagining that their gesture of compassion would set off a chain reaction of support, encouragement, and love that ended in thousands of letters to Olivia, a worldwide anti-bullying movement, and a successful book Letters to Olivia, edited by Olivia and her new-found friends, the Buder sisters. This is more than a story about the power of compassion; it’s a powerful case study about the nature of leadership and the power of young people to make a difference. Emily and Sarah didn’t set out to start a movement or write a book – they simply saw a need and decided to do something. All great instances of leadership start with a commitment to do something and a plan to mobilize others to help. Emily and Sarah’s leadership are a model not only for young people but for anyone and everyone who sees a problem and wants to fix it. Leaders don’t wait for others to do something; they take matters into their own hands. Though current efforts to address the bullying problem have been helpful, every solution devised and administered by adults falls short, not because of a lack of sincerity or concern, but because the inherent qualities of bullying – how it occurs, when it occurs and where it occurs — are simply not amenable to adult intervention. In fact, adult efforts often make things worse. Josephson Institute’s CHARACTER COUNTS! initiative approaches bullying as part of a comprehensive effort to create a school-wide culture of caring, where kindness and empathy simply leave no room for meanness and cruelty. Who better than the students themselves to create this culture of caring? We are encouraging students engaged in student government, sports and other co-curricular activities to collaborate to design and administer a “We Stand Together” solidarity campaign to promote the principles of caring, compassion, and empathy, through assemblies, poster and video contests and other proactive activities including comprehensive efforts to prevent and discourage meanness in any form. One way is to create a CHARACTER COUNTS! “kindness corps” of volunteer students who undertake the responsibility on buses and playgrounds, in the cafeteria, locker rooms, and hallways to protect potential victims by reminding fellow students of the student body’s commitment to kindness, and where reminders fail, to report fully all incidents to a student culture committee or school authorities. If you want to help create this initiative at your school, or simply want to learn more, write us at charactercounts@jiethics.org or give us a call at 800-711-2670. Glad to see there are those out there who are stepping up for the innocents. Thank you, with my whole heart! Parents of a bully need look no further than themselves as the responsible party. I wish people who do not wish to “parent” would simply not have children. The results of bad parenting and the failure to guide effects all of society. There is absolutely NO excuse for raising a child who gets a kick out of making others feel small. Congrats to the sisters in this article and to their parents. when my son was about fourteen I heard that he had teased a boy on the bus. I was so sad over this that I went to the boy’s parents and in the process of apologizing I broke down crying. The next day my son came home from school and was very upset because the boy had came to school and told the class that Dave’s mom had cried because she had such a jerk for a son. (not my words) It was the worse punishment I could have given my son and I wonder if he thinks of it today when he cares for his severely autistic son. This is a wonderful story. I truly believe in the power of one to make a change. It is the spark that lights the flame and will make a difference eventually!